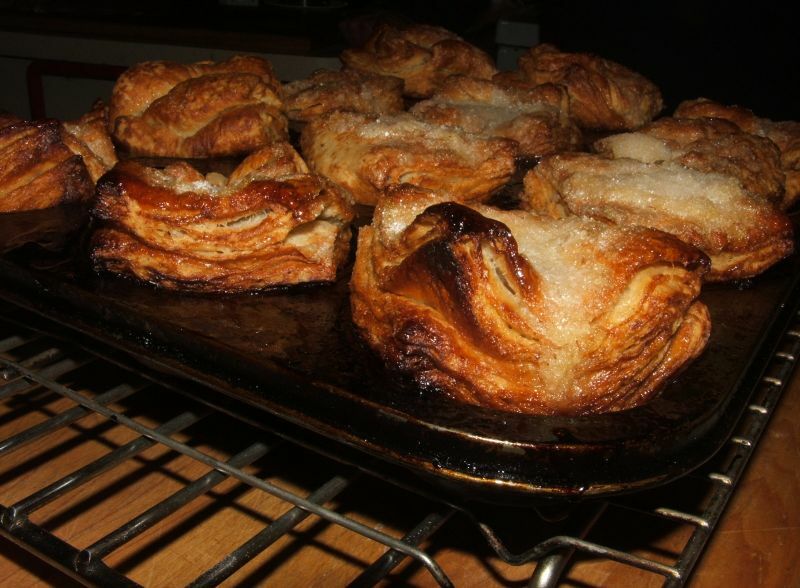 Kouign Amann (literally "buttery cake" in the Celtic language, Breton) is not unlike sweet croissants. And yes, there is a LOT of butter - in baker's percentage: 92%! 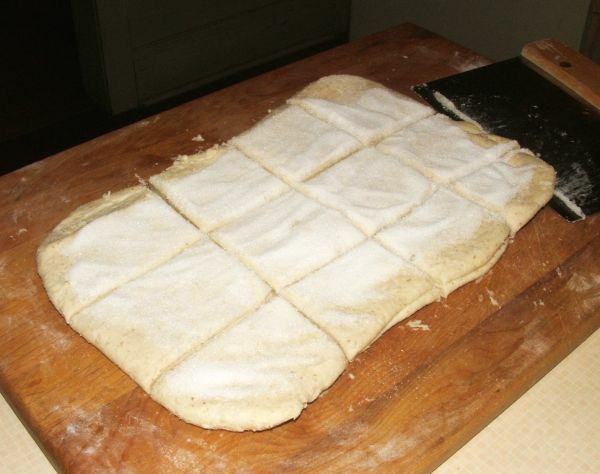 After repeated rolling and folding to laminate the dough, it is covered with sugar, then cut into twelve even (ha! 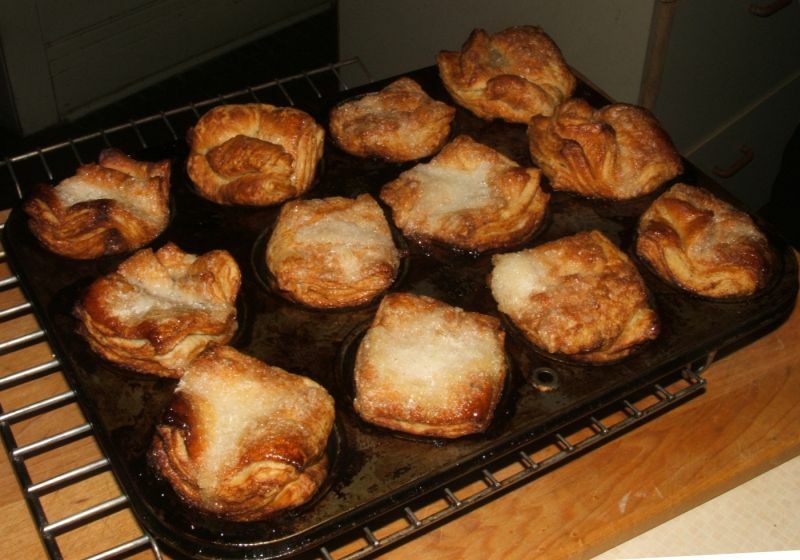 maybe not quite even) pieces then placed into buttered muffin tins with corners of each square facing up. 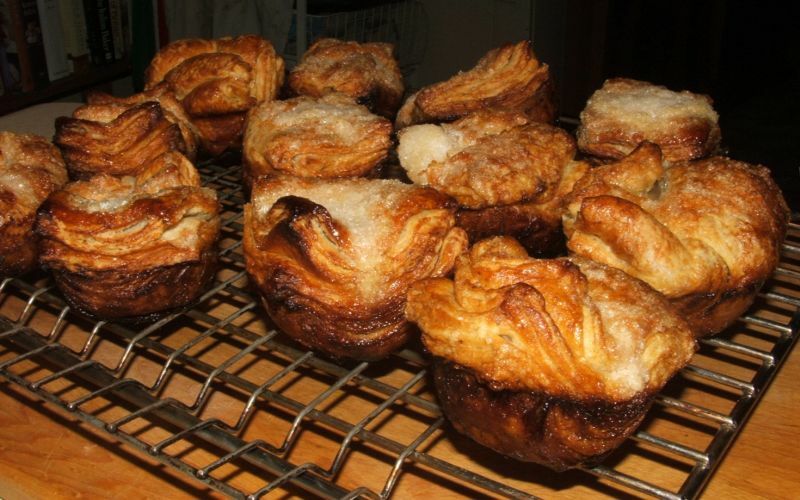 Note that Kouign Amann is traditionally baked in one large piece like a cake but we chose to follow the BBC's suggestion of baking them in muffin tins. Because there is so much butter, they slip right out of the tins - as long as they are removed when they are still relatively hot. 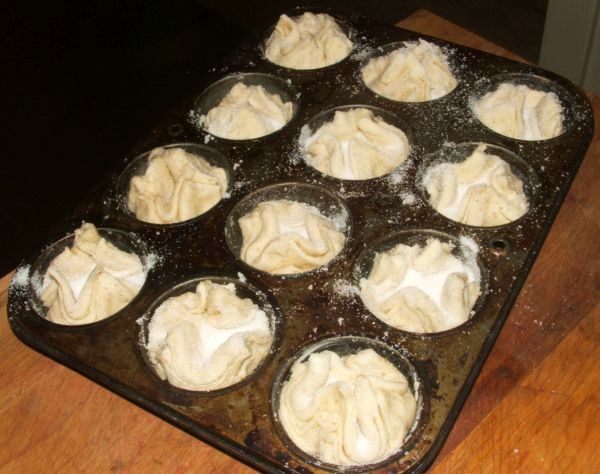 Here they are continuing the cooling process. 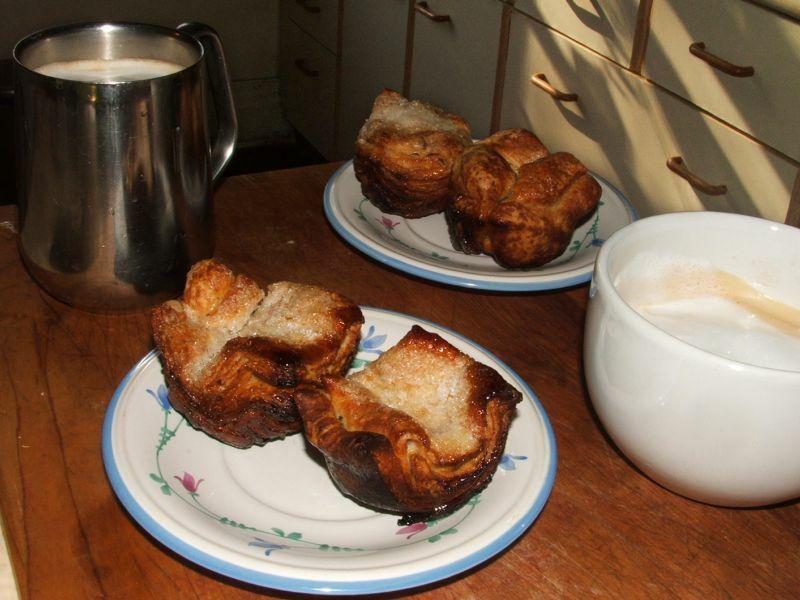 Kouign Amann is the perfect comfort food on a ccccoooooold winter day. I did say "ccccoooooold", didn't I? 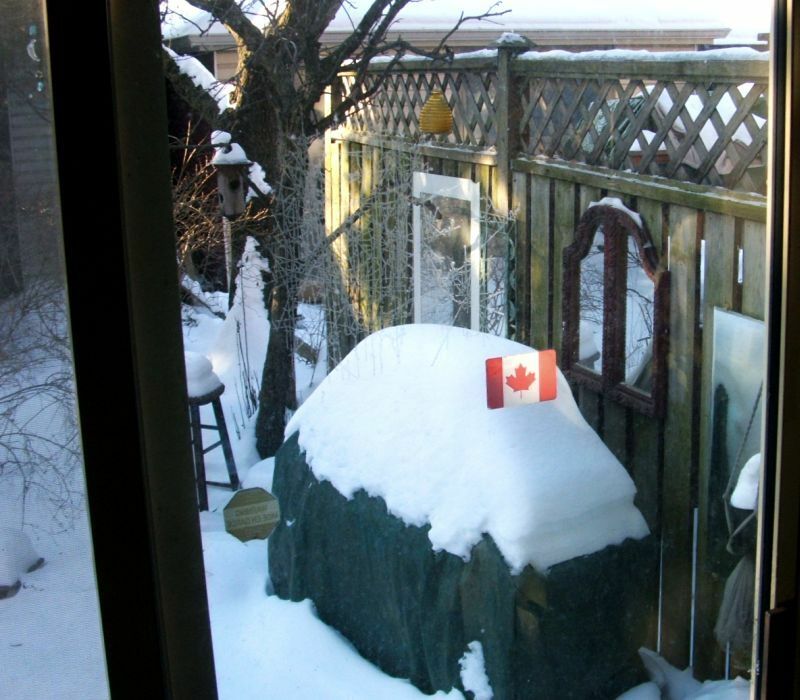 (It was about -25C outside when I took this picture and decided NOT to open the door. )Welcome to Canada! 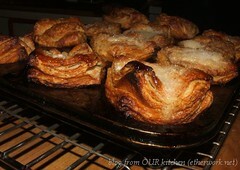 We loved Kouign Amann so much that we decided to have them instead of Hot Cross Buns for Easter. How lucky are we? No need to dye the eggs when they're naturally peach-coloured or blue-green! 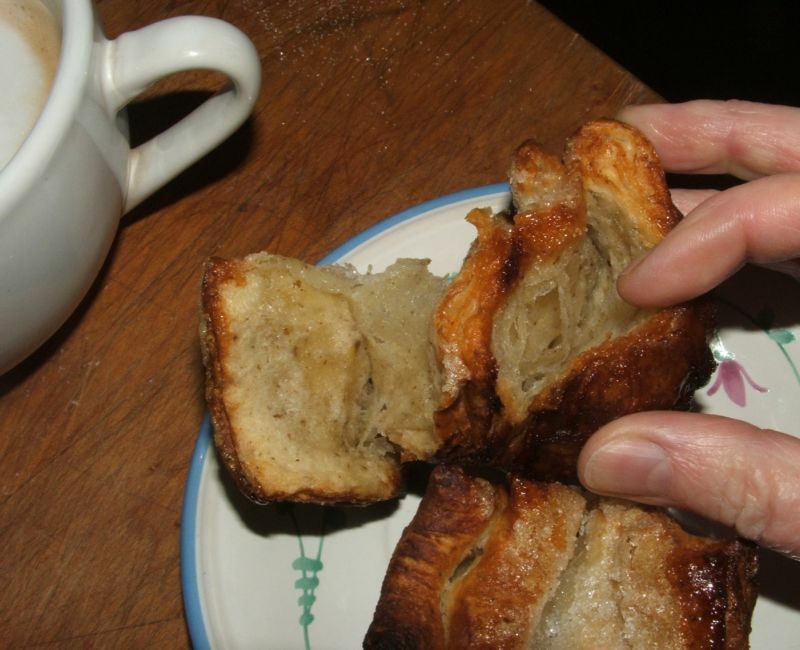 Exploring my Celtic roots with Kouign Amann (BBB February 2015) <<- includes recipe ~ Wordless Not-Wednesday: Happy Easter!